Tetra Koi Vibrance is a highly nutritional diet that brings out vibrant reds and yellows on Koi and ornamental goldfish. Feed in spring, summer and fall, when water temperatures are 50°F and above. Pet Mountain is proud to offer discount bulk pet products. 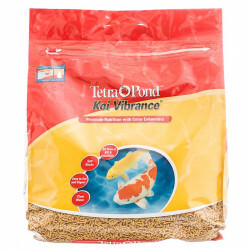 Tetra Koi Vibrance is a premium Koi food with color enhancers for all sizes of Koi & Goldfish. Koi Vibrance floating soft sticks are easy to eat and digest. This means they result in less waste and keep your water clear! Feeding Guide: Feed at least two or three times daily only as much food as your fish will consume within a few minutes. Below 50°F feed TetraPond Wheat Germ Sticks. They should not be fed below 39°F. We have been feeding our koi Tetra Pond Koi Vibrance food for years and have been extremely pleased with its quality. The fish look so healthy and grow well. Their color is bright and attractive. I have a couple of Koi ponds with quite a few fish. I have used the Tetra Pond Koi Vibrance for many years, and it has proved to be an excellent product. I purchase the largest box to get the best price, as I use at least 1-1/2 boxes a year. My koi love this food and I love their vibrant colors. I have been ordering the tetra ponds sticks for 4 years now and I am very satisfied with the quality of the product. My pond fish (koi, comets, goldfish, sarasotas) are always very healthy looking and active. The delivery is timely and the savings are much appreciated. Excellent bargain for Coy that can eat a lot. Fast shipment. 5-Star Rating! My Koi & Tilapia love it! Good price & value and quick ship. My KOI prefer this food over any other I've bought. My Koi are flourishing beautifully. I have a 40ft x 30ft pond on my property. I started with about seven five inch Koi 3yrs ago. I now have about fifteen ten to 15 inch beautifully colored koi plus schools of young adult vibrant orange, white and red and blue mixtures. There are also tiny black babies ready to grow up and change colors. All I use is the Tetra Pond Koi Vibrance to feed them. They also feed on what nature provides in the pond. I'm happy with the product, the price, and the ease of ordering and free shipping you provide. Best price I found and shipped quickly. Just what I always get and is fresh. I've been ordering this food for several years. It does not cloud the water and I haven't had any fish deaths... other than by Heron predation. I have grown huge Koi and goldfish in a 1000 gallon outdoor tank. I save a lot of money buying it in bulk. Easy to feed and the fish love it. Brings out the colors of my koi and goldies. We have been feeding this to our butterfly koi for many, many years. They love this stuff. They are healthy and most of them are two feet long, with smaller about 12-18 inches and they are rapidly catching up to the others. Highly recommend! Good food, great savings, I'm a repeat customer. They love it, they are healthy and the price is better here than anywhere else. Great quality food, great quantity, and great price. Prompt delivery service. Tetra Koi food is the best and with Pet Mountain's prices you win and so do your koi. My koi are healthy, their color is wonderful and their growth is wonderful too. If you love your Koi and great prices you are a winner with this and all tetra koi food. Fish love to eat it and are healthy. Great prices and fast shipping! I'll be back! My fishes love this food, koi are getting large, goldfish are glowing red color, best place to get this in bulk. Will reorder again. Have never been let down and get great pricing. Would recommend any pet owners to check out their website and shop. Ordered Koi Vibrance Premium Nutrition W/color Enhancers Tetra Pond fish food. Shipment arrived in timely manner. Product is exactly what I expected. Reasonably priced. Free shipping. What more can you ask for? Thank you, and I WILL place another order, and my friends will also order from you in the future. 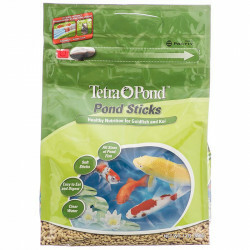 I was amazed at the size of the Tetra Pond food bag, especially amazing was the price. I can't get this quantity locally for the price Pet Mountain sells it for. We really like this food and so do the fish. They devour it as soon as it hits the water. The fish have grown significantly and very healthy. Ordered the 3.5lb bucket of koi food from Pet Mountian, it arrived sooner than promised, the product was right and the price was right. Very happy with the service from Pet Mountain. Loved your product, so did my fish! Friendly employee when I called and PROMPT response. Thank you. Best deal for Koi Food! I was tired of having to buy a $45 big bag of koi food every month to six weeks and was overjoyed to find this deal online. Free shipping too and it arrived so fast. Love you guys! We love the color enhancement quality of this floating stick food and our koi really enjoy the taste! They also prefer this stick form over other pellet forms. This is a quality product we never second-guess. I usually pay $6.50 for a 4.8 oz. can of this product at my local pet shop. I purchased the 2.4 lb. bag which will take me through the rest of the year. The savings are incredible! This saves soooooooo much and is the exact food that I purchased earlier at my local store. Buying in bulk is the ONLY way to go. So glad I found the company. We have been feeding our Koi this product for many years, but it is expensive to purchase from the major Pet Supply stores. Even with the cost of shipping, we save substantially by purchasing from Pet Mountain. Delivery is prompt and within the time-frame stated. Koi Vibrance is a good basic food for your fish. It helps maintain their vibrant color and health. I also like that the sticks float which makes for easy removal if necessary, however I've never needed to remove any. My fish devour the sticks in a couple minutes. Tried other brands before, very disappointed. I will only use Tetra Koi Vibrance. It's the best! My wife swears by it! My wife has been feeding her fish Tetra Pond Koi Vibrance for years. The fish seem to thrive on it and are very healthy. She's tried other products but won't use anything else now. The 16.5 lb. size is a lot of fish food, but it was a great buy through Pet Mountain. Fish can't wait to be feed. My koi and goldfish love this food. When they see me coming they can't swim fast enough to meet me. They really enjoy their lunch! Koi Vibrance is the only food I use all summer! Great product ! Great service. Me & my all fishes very happy. Great product! and it's the lowest price I found on the web, and included FREE shipping. The FedEx shipping is so slow to arrive, but it is not Petmoutain.com fault. I would buy here again. Great food that my fish love. The container keeps it fresh too. If you want happy koi's, then make it Tetra Vibrance! We have been feeding our fish Koi Vibrance for over five years and they absolutely love it!! They are growing, healthy fish with beautiful colors. This product is highly recommended by us!! Of course our fish like it, but our cat comes to the pond with me when I tell him it's time to "feed the fish". He enjoys it as much as they do. These are the only Pellets my Koi eat. I'm so Glad I got the Bucket size. I wish I would have been doing this all along. It just saved me TONS of money. The order got here really fast. Thank goodness because on the day it arrived I had just fed my Koi the last of their food the day before. Thank you Pet Mountain. Early on in our pond experience, we tried several brands of koi food. This quickly became our food of choice. Have used it for ten years or more. Pet Mountain's is the best price we've seen. 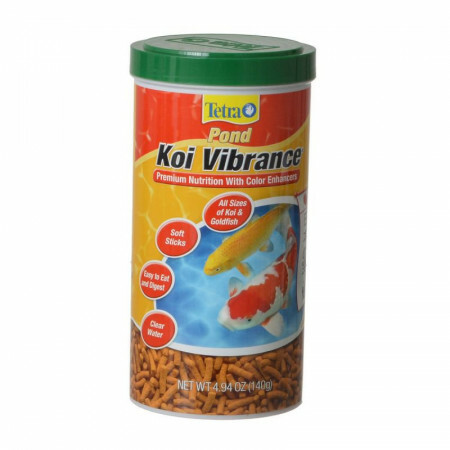 Of all the brands of fish food that our pond fish have tried, Koi Vibrance is the one of first choice. It seems to hold up well without turning to mush quickly. Of course, that is if there is any left! I've been using this for 3 years now. In between I have used other fish food but my fish prefer the Vibrance. I'm really happy with this product. Our koi love this food and the price is amazing. Bought this with fish from pet store then tried other brand 2 times since and went back to this and wow what a difference fish started eating great again and will almost jump out of water wanting more when they see us by the pond this is for sure the best food for pond fish. 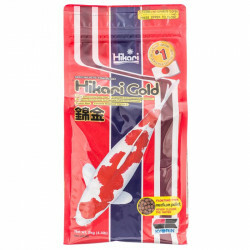 This is the only food my Koi will eat and the cost was half of what I have been paying around here and that includes the shipping.I will buy my fish food from here from now on!!!! Quick service too. The Koi Vibrance arrived within a week and I saved more than $5 by ordering from Pet Mountain. Plus, I didn't have to get out in traffic to get to the pet store. I have nine large, healthy, beautiful koi, and they love this food. I will definitely order again. This is the only brand I will buy for my koi. We love it that it doesn't cloud the water. Thank you Tetra Pond. When I go out to feed the koi, they get so worked up just seeing the food box, they almost jump out of the pond! Recommended. After 3 to 5 weeks my kois ate these Tetra Vibrance and I saw the difference in just 4 weeks. WAY better than the stuff i used to buy!! I have a large farm pond which I have filled with blue gill, bass, catfish and crappy. They really love this food. Every time I walk near my pond fish come from every direction and group together waiting for more food. We have been buying the Tetrapond Vibrant for 4 years. The fish love it, they grow 3 times their size over the course of our short summers and their colors are beautiful. It is the only food my Koi will eat. I have been buying Tetra Pond food for my Koi for five years now. 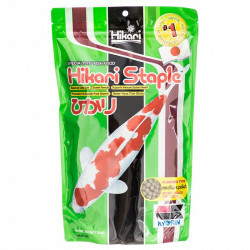 I tried other brands but have always come back to Tetra floating soft sticks for my Koi. OUR KOI LUV TETRA'S "KOI VIBRANCE"
We're only into our 2nd year with our backyard pond and the 8 koi we originally purchased (one for each of our grandchildren) have grown 2-3X their original size!!! NO OTHER koi food is as well recieved by the fish nor do any of the others help to maintain a clean/clear pond.